We have upgraded our products packaging by changing our former pack to the BRAND NEW ZIPPER-BAG packaging! We have also increased the piece inside every packs to 12 piece from originally 10 piece per one pack!! And ONLY the real product has the 10+2 Piece/Pack Sticker putting on it, and also the QR Code Security System Sticker for our nice customers to make sure they get the real one, which can be checked via our Official WebSite only! For more updates in the future, please visit our web site frequently. 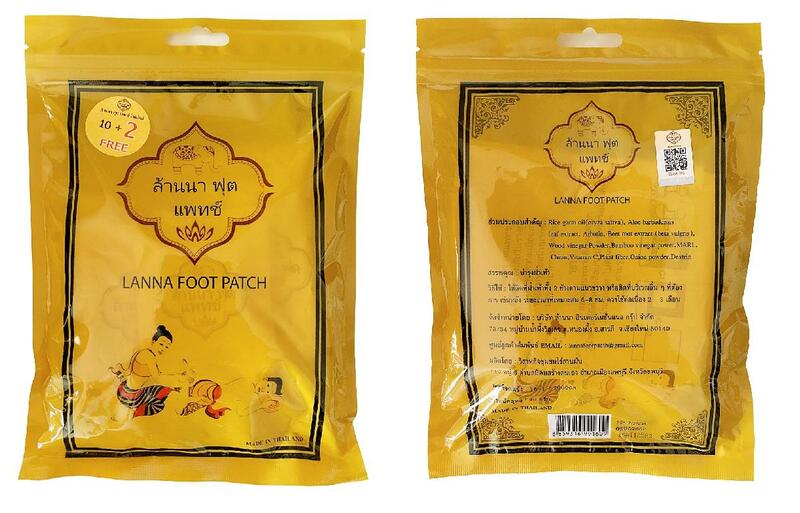 Every Lanna Foot Patch consists by many excellent herbs planted in famous herbal gardens in Thailand’s Northern region. Harvested only high qualities that we accept and carefully hand-made pack up our finest ingredients appropriately. 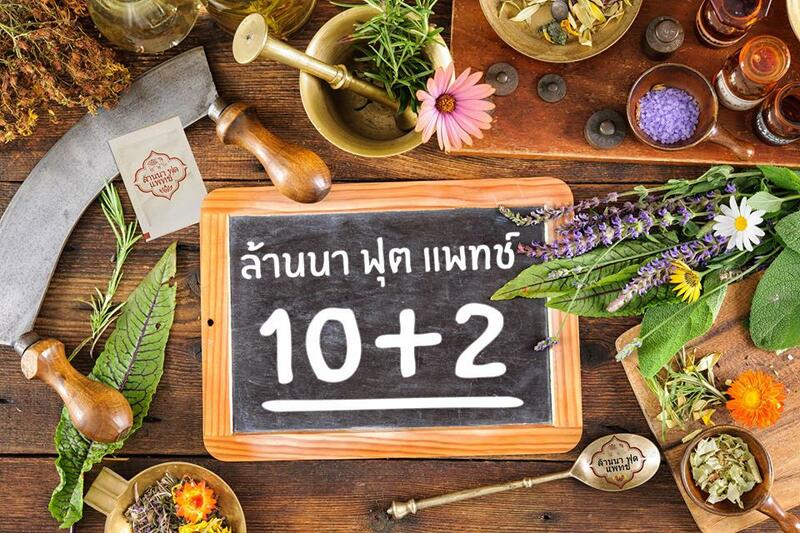 With the admixtures like Bamboo Vinegar Powder, which helps detoxify any toxin substances, Calcined Marl, which reduces body’s heat and reduces swelling, Vitamin C, which protects our skin from sunburnt, and many more useful ingredients best selected for the best of your health. > Apply the patch with plaster sheet onto both feet sole horizontally.